LUKAKU: "I proved in some games I deserved a chance." Romelu Lukaku has given yet another interview about his time at Chelsea and this instance has stated that he has proven himself here and felt as though he deserved a chance. I am asking you the Chelsea fan reading this post if you agree with him. "Chelsea was difficult because I’d always been a first-team player at my other clubs. At 16 I went into the Anderlecht side, the best team in Belgium. I had my chance and I took it. I was top scorer there and we won the league and I then scored even more. When I went to Chelsea I knew it would be hard but I proved in some games I deserved a chance. I chose the latter and I think I am in a team now where there is that ambition to be one of those big teams. Everton play good football, we play at the top part of the league and everyone wants to win. We want to show that last year wasn’t a fluke. So what do you think about what he has said? He states that he felt as though he had done enough to deserve a chance but surely that had to be at West Brom at that time? The problem for Lukaku (to which Fernando Torres found out!) it's very different playing as the central striker for Jose Mourinho at Chelsea, than it is for West Brom and Steve Clarke! 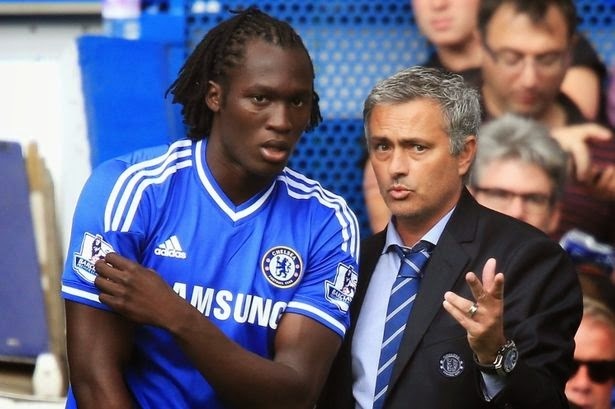 I will admit that I had personally stated that Lukaku could have offered something a little different for Mourinho last season but looking at Lukaku now, he doesn't work hard enough on the pitch to be considered by the boss.